Certainly there are ways to tactically improve the hiring and retaining talent of varied backgrounds and skills, but it’s not as easy as putting up a check-list and checking boxes. One key question, how do you compare different candidates and determine the “best fit”? This recorded resource focuses on how D&I initiatives and practices impact the employees within an organization. Both when they're done well, and when they fail to achieve the desired results. Our panelist will live the value of diversity by offering a broad array of perspectives and experiences. 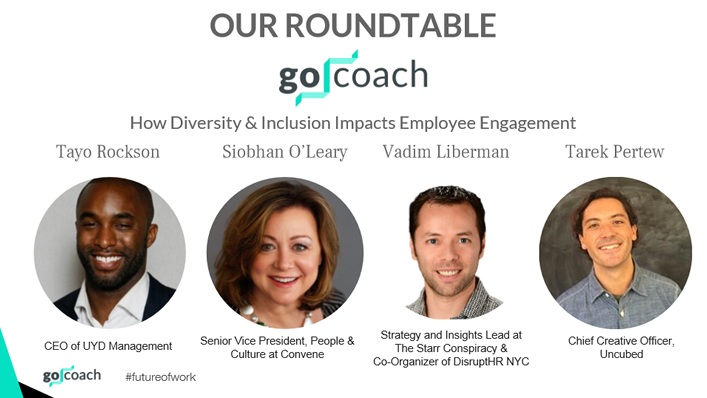 Our experts share stories on how to best bring success in diversity and inclusion. And explain how we can best learn to learn from one another. If you’re curious to know more, it’s your first time building an initiative, or you’re seasoned on the topic, all can benefit from each other here via a lively discussion that touches on the platinum rule, awareness of conditioning, being comfortable being uncomfortable. We’ll aim to offer insight into what those who are in charge of developing some of the best, most innovative companies in the world say you need to do to improve now, and over time.